Not only is it 50 years since James Bond made his debut on the silver screen; October 2012 also marks the dawning of a musical revolution from Liverpool – The Beatles. Love Me Do marked the start of a musical journey that would change the face of popular music for generations to come. 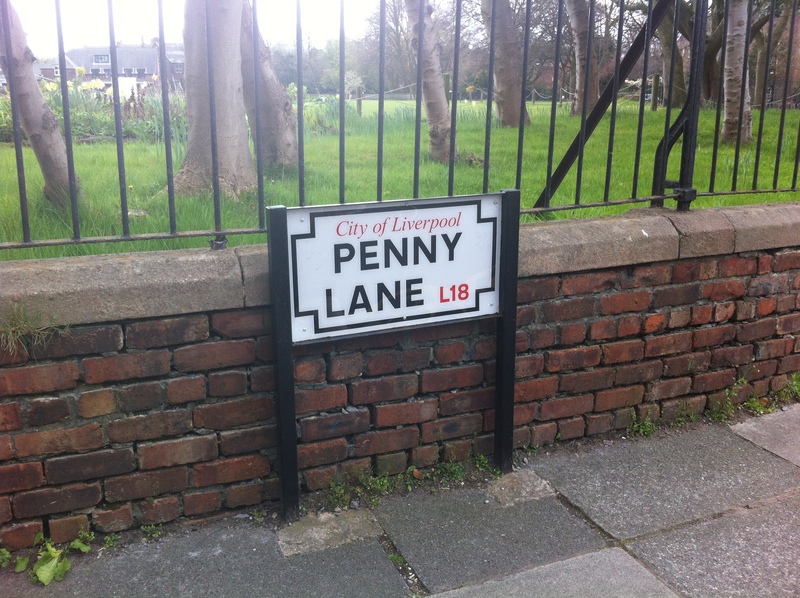 In this blog, Colin Millar explores the inspiration he found on the streets and lanes of Liverpool as he went on a “Magical Mystery Tour”. 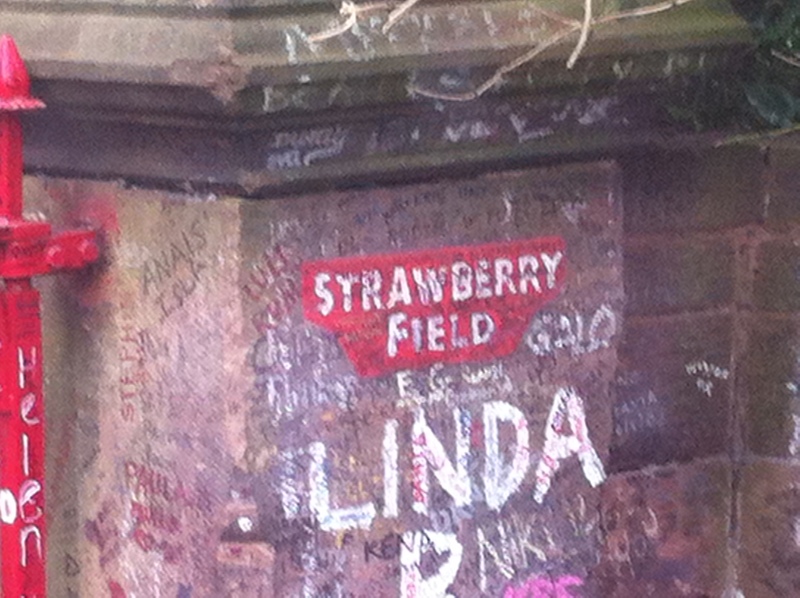 From Penny Lane to Strawberry Fields; around the humble (and not so humble) homes of the main characters; their personal backgrounds providing the colourful tapestries illustrated in their early hits to the holy grounds hosting the final resting place of Eleanor Rigby (it is a real grave in a real graveyard in Liverpool! ), there was inspiration in abundance. In their musical career, what impresses me most was their ability to re-innovate; re-work and re-define whilst remaining true to their core principles and values. The Beatles early material consisted of cover versions of other artists’ songs. This was not uncommon in the late 1950’s and early ’60s scene as it was a trusted way of establishing new talent with recognisable, proven songs. They had to add their own musical twist to each song and these instant hits also gave them a platform on which to launch their own songs as they sat side-by-side on the album. This was achieved with their rocky sound and carefully tailored image. When establishing yourself, do something recognisable and trusted whilst adding your own discernible twist. Once established, they started to diversify. They became more experimental, more adventurous and more daring. They were taking their audience on a musical journey and it required small, incremental steps. From the more commercial ‘Hard Days Night’ and ‘Help!’ movies and soundtracks, Rubber Soul took the established band onto a path they were likely more comfortable with. They were starting to create their own thunder. Once established, you start to build on your uniqueness (the “USP” in the business world) – think ‘evolution’ rather than ‘revolution’. Heading into Sgt. 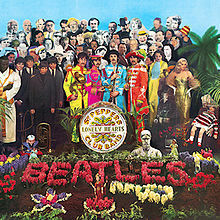 Peppers Lonely Hearts Club Band; Magical Mystery Tour and Yellow Submarine, the influences on the band brought about further exploration of both self and sound. They were open to new experiences and influences and didn’t, like many artists, stagnate and assume they should continue to do as they always had. They recognised the changing mood of the generation they sought to capture and reflect that changing mood. They allowed their personal experiences to change what they were doing whilst retaining the fundamental essence of the band. Time in other cultures permeated the band’s new material making it quite unique at the time. Be open to new experiences and embrace change, don’t stagnate or your audience will leave you behind. The loss of Brian Epstein in 1967 seemed to coincide with the changing dynamic within the band – the band members having met their ‘significant others’ and a distancing of the members from each other in pursuit of their own personal goals and ambitions and commercial ventures. Whilst musically the band remained as progressive and coherent as ever, the songs were becoming much more mature (Abbey Road and Let it Be). The common goals had become blurred and several agendas were now on the table. Ensure those values and dreams that brought you together remain clear and coherent throughout the journey. Arguably, the Beatles were synergy at it’s peak. The sum of the musical parts (and Harrison / Starr’s influence on the band is often underrated, especially the former) was sensational, the composite parts separated out never did, for me, achieve the same magical cohesion. continuance of their musical careers as individuals suggests they felt they still had something significant to give, just not together. Perhaps some time apart as a structured break for individual pursuits would have allowed the artists to continue to grow as individuals who could then return to the band to channel these experiences back in to the magical melting pot but we’ll never really know. Have enough room to allow your team to grow; develop and experiment as individuals. Your business will benefit from it.